Awww, that is cute! Can't wait to have a go! This is just adorable! I love the pink. Thanks for the pattern. I love your apple and pear. I really do! I have made the pear, only much bigger. I have been asked for the pattern by several. 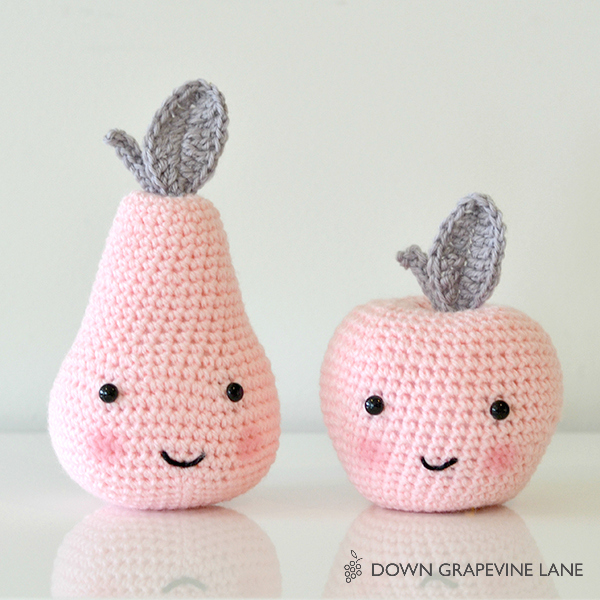 May I publish the pattern for a bigger pear on my danish blog? I will link back to you, off course. 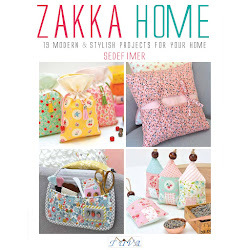 Thank you so much for this wonderful pattern. Can you suggest a suitable yarn for this project? Hi Helene, I normally use 8ply / DK weight yarn for my amigurumi and I prefer cotton or acrylic over wool (less fuzzy and smoother finish). But it's a personal choice entirely. 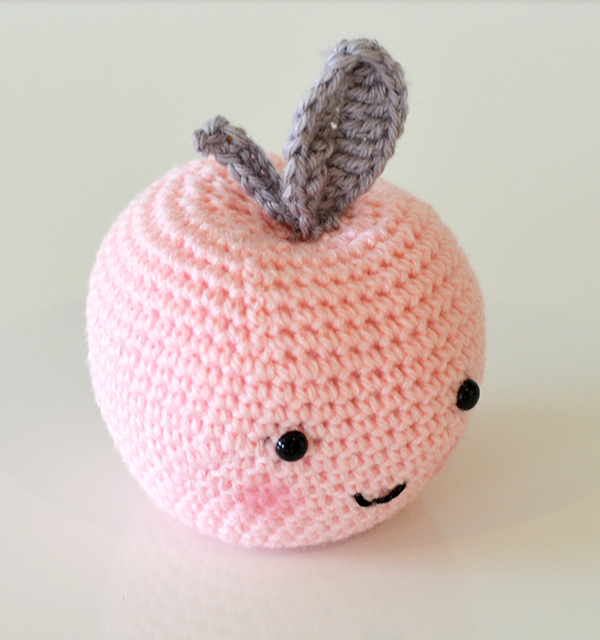 You can also use worsted weight / 12 ply yarn if you prefer, the finished apple would be a little bigger than mine. Hope this helps! Thank you for your help. I appreciate it very much. 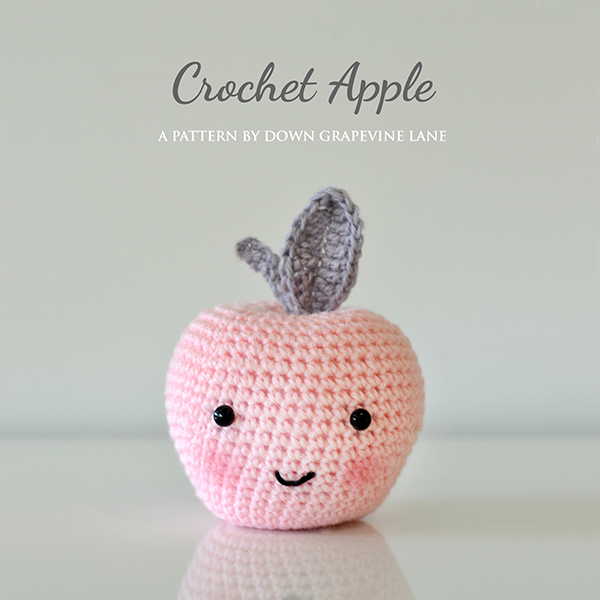 I can't wait to make my own Apple! 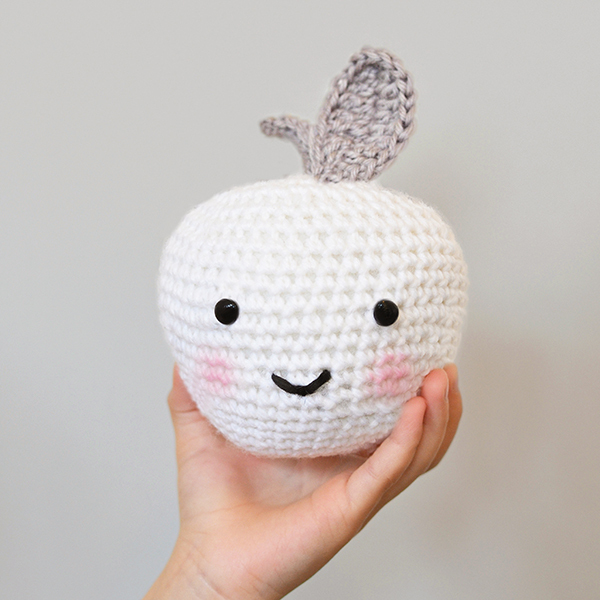 Dear, I made the apple, where can I find the pattern of the pear please? Wow!! This is so cute.